Dr. John Walker of Walker Orthodontics works every day with patients who live in or work near Harvard, MA looking to fix their crooked teeth (malocclusions) and other orthodontic issues. An orthodontist is a dentist that has received special education and training after graduating from dental school. They deal mainly with the diagnosis, prevention, and correction of the malposition of teeth and jaws. Dr. Walker is an orthodontist in Harvard, MA who can better understand the benefits of orthodontic treatment for crooked teeth. A malocclusion refers to crooked or misaligned teeth and is a flaw in the relationship between the bottom and top dental arches. Some examples of malocclusions include crossbite, overbite, underbite, open bite, reverse bite, asymmetrical teeth, and impacted teeth. Fixed appliances are used in cases of malocclusion where precision is key. Appliances that are regularly used are braces, fixed space maintainers, or specially made fixed appliances. Although patients usually can eat normally with these appliances, Dr. Walker advises patients in Harvard, MA to avoid some foods and drinks that may damage their appliance (candy, gum, soda). 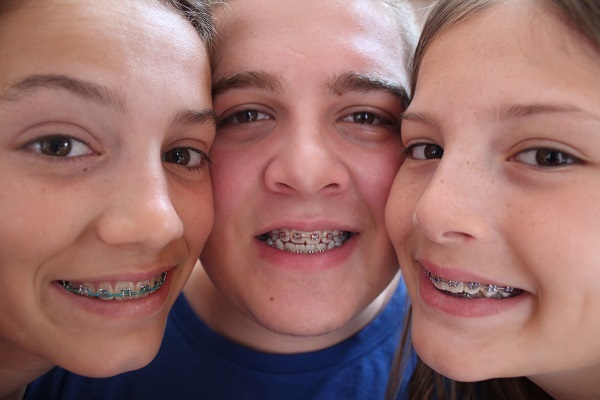 Walker Orthodontics use, in some treatments, removable appliances like retainers, lip or cheek bumpers, splints, aligners, palatal expanders and headgear. Removable appliances can be taken out of the patient’s mouth at any time, unlike fixed appliances. However, they should only be taken out when cleaning, eating, or flossing. In addition, if the doctor recommends that they be removed for activities like sports or playing an instrument. Dr. Walker and the team at Walker Orthodontics in Harvard, MA can answer any questions you might have about correcting your crooked teeth, brightening your smile, or for any orthodontic treatment you might be considering.